Nexus offers stylish and modern studios, one, two & three bedroom apartments. Your home features black appliances, track lighting, washer and dryer, air conditioning and so much more. 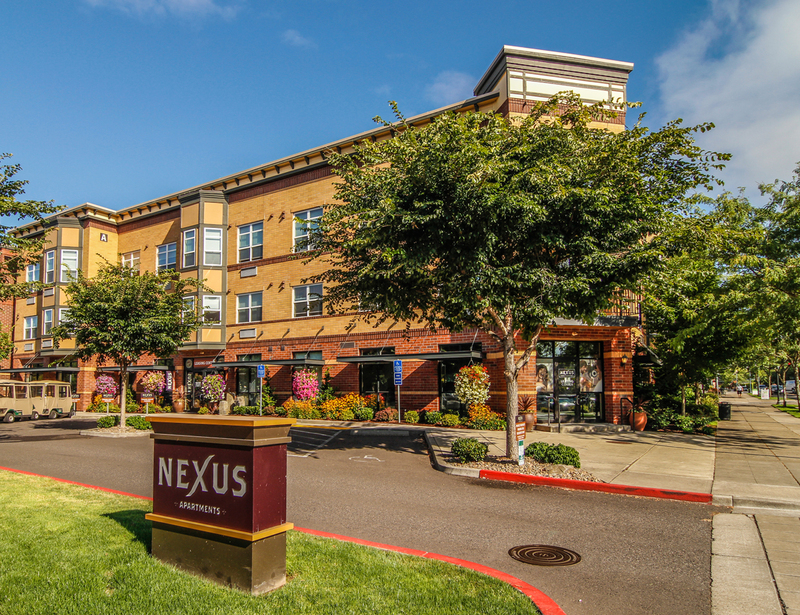 Enjoy resort-style amenities while getting connected here at Nexus! The cost of living here combined with the increase in noise on cornell rd has increased quite a bit since I've moved in. I don't feel the noise level justifies high rent. I am looking into moving. I would recommend it to someone who worked nearby - commuting to the city on 26 is tough. The location, community, and quality of the apartments is worth recommending. In the time we've lived here all we've had to do is pay rent and enjoy ourselves. Considerably fewer day to day inconveniences than other places. Ample parking and respectful residents go a long way towards that. It is a little bit expensive rent but the overall experience here is very nice!! I love living here because of the location and the quality of my apartment. I also love the fitness center and the pool/spa. It is a little over priced and there are some things about the way it is managed that bother me and might prevent me from recommending it. The lease rate hikes are a bit steep by comparison to other area units. The rent increase amount I was just offered is higher than what I have experienced and have been advised on by similar properties in this area. Would because of location and amenities nearby. Would not because it's a very fluid population in both the office and the renter community...not much sense of community as a result. I really donÂt usually give all 10Âs to places when I am filling these out, but I have not been disappointed by a single thing since moving into this apartment. The amenities are great, the apartment is great, and the office staff is really really great! We enjoy living here a lot!! Lately there are many outgoing residents complaining about the ridiculous move out charges. We saw something similar even though we moved apartments within Nexus. The customer service has been one of the best we have received among all the places we have leased. The rental units are spacious and good value for the money. The office staff is helpful, attentive, and quick to deal with tenant concerns. The common areas are clean and well-maintained. I intend to stay here for the foreseeable future.